Box Text: Given to the elite few who have the privilege of acting as the true Guardians of Retail. Thank you for your unwavering support and loyalty to Playstation. 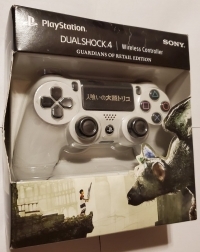 This is a list of VGCollect users who have PlayStation 4 Dualshock 4 Wireless Controller - Guardians of Retail (employee) edition in their Collection. This is a list of VGCollect users who have PlayStation 4 Dualshock 4 Wireless Controller - Guardians of Retail (employee) edition in their Sell List. 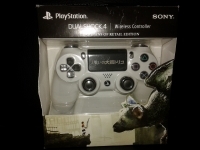 This is a list of VGCollect users who have PlayStation 4 Dualshock 4 Wireless Controller - Guardians of Retail (employee) edition in their Wish List.